The Festival of Light is a show conceived after many years of living in Singapore, experiencing the annual celebration of Deepavali in and out of friends' homes, studying Traditional Indian Dance, several visits to India , and telling many Indian folktales over the years!! This amazing school performance workshop is now especially geared to pre-school and kindergarten children. 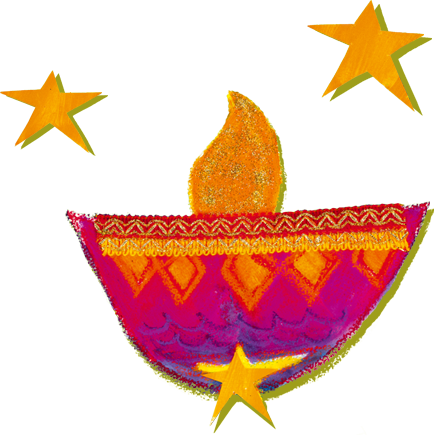 A magical blend of stories, candles, movement and craft, the Festival of Light introduces far away lands, different customs and culture to the young child. Trained in education, Katherine is able to touch the early childhood classrooms in an enchanting, engaging way... bringing much grace and wisdom to this showcase. Please contact us for performance availability should you wish to include The Festival of Light in an upcoming school show.